Hand dyed sock yarn. 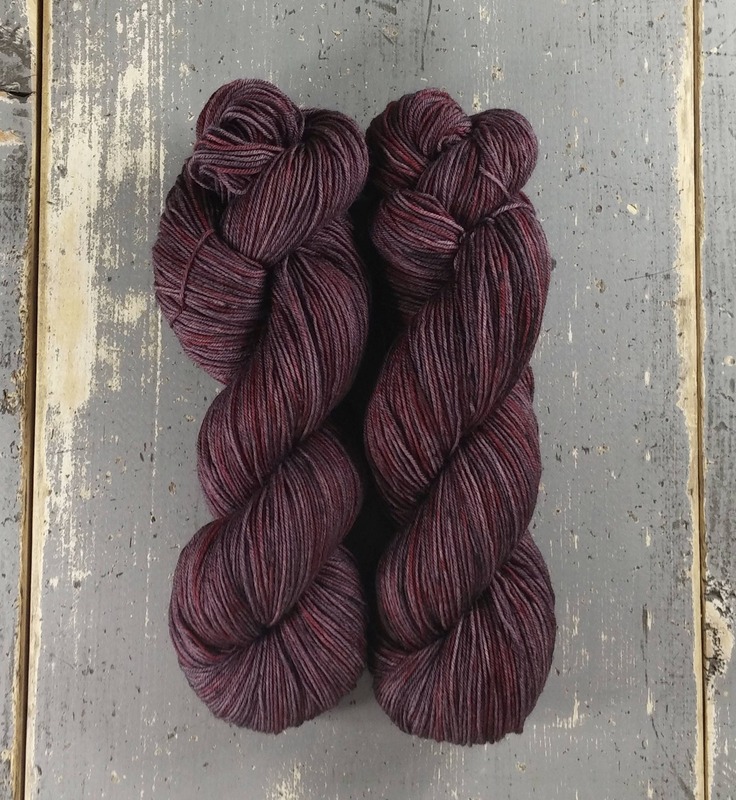 This yarn is dyed in a semi solid dark eggplant purple which was speckled with a ruby red and a few specks of black. This listing is for 1 skein of Staple Sock. Very nice deep plum color. Shipped fine. This is a great color. Can't wait to work it up. Thank you.